The Sitka Assembly is moving forward with a plan to offer more water to an expanding local hatchery. The proposal has been met with opposition from some Sitkans concerned about energy costs, but others say the economic benefits for trollers are invaluable. The Northern Southeast Regional Aquaculture Association (NSRAA) is expanding, building a new hatchery for king salmon and chums. That means they need more water from the city. And last week, city utility director Bryan Bertacchi pushed back, saying that giving them more water could, under certain circumstances, increase rates. Currently NSRAA has an agreement with the city to pump 6.4 million gallons of free water daily, and the new agreement would double that during peak hatchery production. 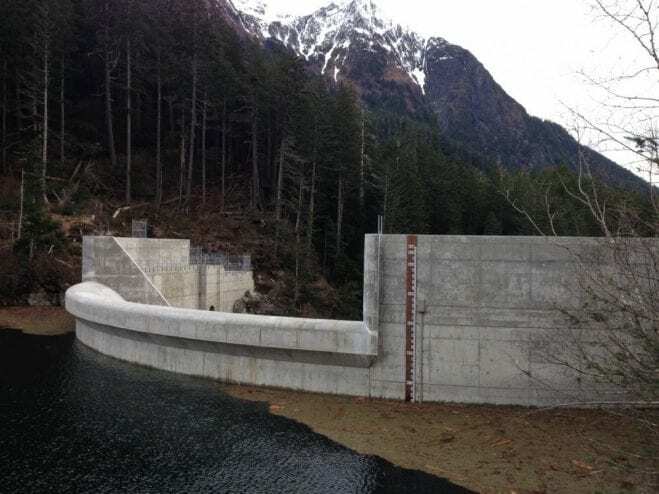 Bertacchi said that drawing that much water from the penstock in the event of an outage or when lake levels are low could force the electric department to generate power with diesel. And that could cost Sitkans. But at Tuesday night’s (2/12/19) meeting of the Sitka Assembly, NSRAA general Manager Steve Reifenstuhl said they won’t actually need the water until 2021, and he was working with the city to ensure no cost would be incurred on the electric customers. He said they planned to install a pump that would draw water from the afterbay, reservoirs of water that’s already gone through the Blue Lake Dam turbines, generating power. Several spoke in support of NSRAA, including trollers and board members of the hatchery. NSRAA board member Bert Bergman said he was surprised at the pushback the proposal had received for an ordinance that would be an economic boon to trollers and Sitkans. Even so, there was still community pushback. Sitka Tribe of Alaska representatives read a letter in opposition to the proposal. Frank Rogers, operations superintendent at the hydro plant, said that while he supports NSRAA and was relieved to hear they planned to eventually pump water from the afterbay, there were other concerns with drawing water directly from the penstock now. “The penstock is a rock tunnel. If I go past 525 cfs (cubic feet per second), we’ll start pulling rocks into the unit. Most of the time I’m never even close to that because we have Green Lake running and we have a lot of generation capacity,” he said. He said every time they allow someone to tap into the high pressure penstock, if the Green Lake plant fails or has to be shut down for maintenance, he could be forced to run on diesel to help subsidize Blue Lake hydropower. Assembly member Richard Wein said he wanted more confirmation of details in the letter of intent, specifically surrounding who would absorb the cost in a worst-case-scenario. “Memorialized in this agreement should be that there needs to be a plan to pay for the diesel, should it happen, should we get the 100 year storm,” he said. Assembly member Aaron Bean also wanted more parameters added to the letter of intent, including where the water could be drawn from and for how long. City attorney Brian Hanson, who was speaking via teleconference, was wary of pinning down more specifics in the letter of intent, but if the assembly voted to move forward he was prepared to work out the terms of the water agreement. Ultimately the letter of intent remained unchanged, and the assembly approved it 6-1 with assembly member Aaron Bean voting against.